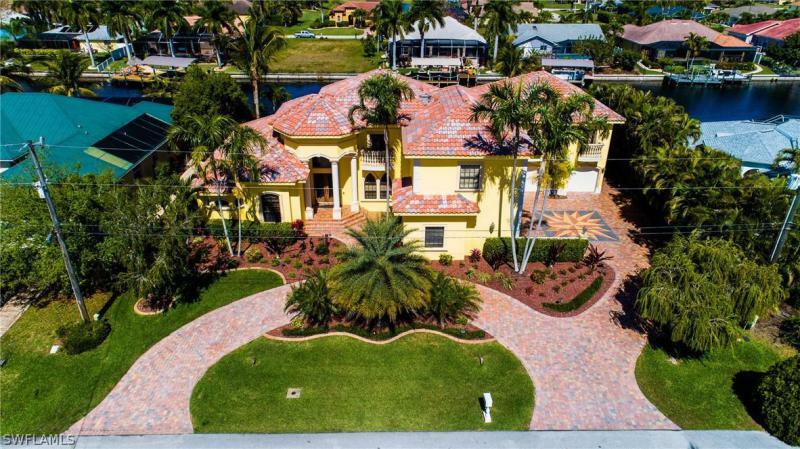 This beautiful mediterranean masterpiece is located on a true sailboat access 100ft wide canal. As you approach the house you walk into this beautiful courtyard and are greeted by a beautiful water fountain and double mahogany doors. This home windows are hurricane resistant and the second story is all cbs block also. No details was spared the first floor has marble floors and the second story floor is wood. The main master bedroom is in the first floor and the other three master bedrooms are in the second floor. This master piece has 5. 5 bathrooms with a movie theatre. The spacious kitchen has granite throughout, it comes with a gas stainless steel range, double convection oven and a sub-zero refrigerator. The house has a big lanai with an outdoor kitchen the pool is very big and has two waterfalls. There is also an outside pool bath. Big dock completely done with trex, 16k boat lift, 80 foot captain walk. 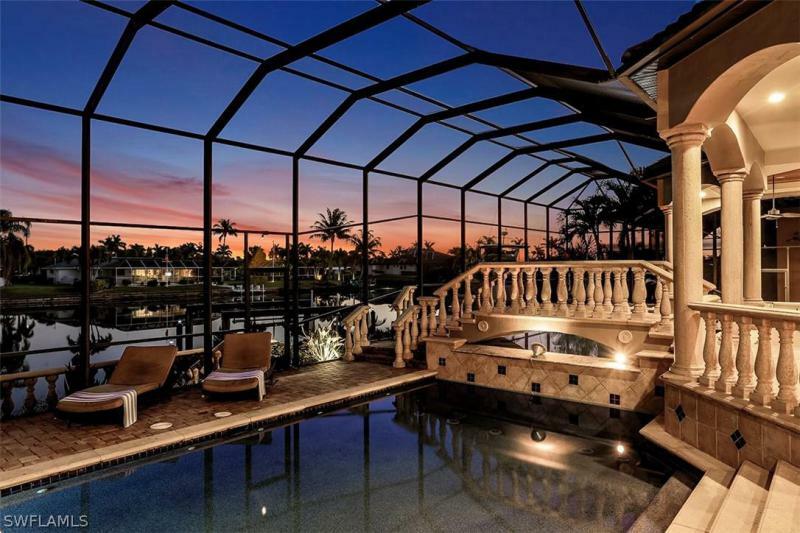 Luxury defined the state of great comfort & extravagant living perfectly describes this beautifully appointed, custom built 5bed, 6bath gulf access pool home. Upon entering the home, it's abundantly clear no detail was overlooked! This masterfully crafted estate boast 5427 sf of living area, a gourmet kitchen, ss appliances, custom wood cabinetry, exotic granite counters, wet bar, coffered ceilings, crown molding, gas fireplace, state of the art audio/visual electronics, formal & casual dining areas, separate living, family rooms, office/den, 5-car garage & so much more! Owner's retreat is located on the 1st floor, features wood plank flooring, wall mounted tv/surround sound, plantation shutters, luxuriantly appointed master bath, his & her closets, soaking tub, walk-in shower, double vanities. Upstairs awaits 3 guest suites, media room with wall projector & screen. Outside enjoy your very own tropical oasis, beach entry pool with cascading waterfall, spacious lanai with 80 retractable tv, outdoor kitchen, huge dock with plastic decking, tiki hut, 12k boat lift. There's even a separate guest house with independent access, kitchen, laundry, private elevator, & deep 2 car garage! !